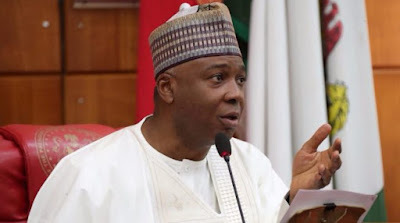 Senate President, Bukola Saraki, has written to the Inspector-General of Police, Ibrahim Idris, in response to his invitation to appear for an interrogation over the allegations made against him by armed robbery suspects who attacked banks in Offa, Kwara State for the second time. This is coming after the Inspector General of Police wrote the Senate President to report at the police force of Tuesday. The Senate President, however, did not honour the invitation. When asked if Saraki would answer the summons by the police, his Special Adviser on Media and Publicity, Mr Yusuph Olaniyonu, said his boss had responded to the police in writing. Olaniyonu also said Saraki had answered all the questions raised by the police in his letter to the IG. He added that Saraki’s letter was written and dispatched to the police on Tuesday, stressing that its receipt was duly acknowledged. Olaniyonu further stated that after answering all the questions raised by the police in his letter, he did not believe that there was any further need for Saraki to go to the police personally.